There are many Southaven pest control companies, but most deal with extermination of insects. We deal strictly with wild animals, such as raccoon, skunk, opossum, and more. Animal Pros differs from the average Southaven exterminator business because we are licensed and insured experts, and deal only with animals. We are not merely trappers, but full-services nuisance wildlife control operators, offering advanced solutions. Southaven wildlife species include raccoons, opossums, squirrels, rats, skunks several species of snakes and bats, and more. Many animals can cause considerable damage to a house, not to mention contamination. We offer repairs of animal entry points and biohazard cleanup and we guarantee our work. Our Southaven rodent (rat and mouse) control is superior to other pest management companies. All of our wildlife trapping is done in a humane manner. Of course, we are properly Mississippi state licensed. 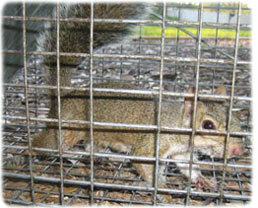 We are highly experienced in Southaven raccoon removal, squirrel removal, bat control, and more. We at Animal Pros believe we are the best Southaven trappers of wildlife, and would be happy to serve your Southaven bat removal or pigeon and bird control needs with a professional solution. Skunks, moles, and other animals that can damage your lawn - we trap them all. 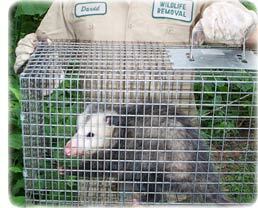 Our professional pest management of wildlife and animals can solve all of your Southaven critter removal needs. Our specialty is removal of animals in homes such as raccoons in the attic or squirrels in the attic. If you need Southaven pigeon control, Canada geese or other bird removal, we can help. We are experts with skunk problems, digging animals such as armadillos, & groundhogs, and we offer Mississippi dead animal removal. We trap mice and voles. We do home repairs, animal prevention, and removal of critters from the attic, ceiling, basement, animal in the wall, and any part of a building. Give us a call at 662-388-5112 for a price quote and more information. Remember, we at Animal Pros run a wildlife removal company, and charge for our services. If you are searching for help with a dog or cat issue, you need to call your local DeSoto County animal control or SPCA. They can assist you with problems such as a dangerous dog, stray cats, lost pets, etc. There is no free service in DeSoto County that provides assistance with wild animals. Pictures and information about skunks - If you're not a library buff, you only have two options when it comes to finding pictures and information about the critters. You can take your camera and your camping gear and hike out into the woods to live with the animals for a period of time, or you can sit in your warm chair by the fireplace and surf the Internet. It's up to you. Not everyone likes to be warm and inside away from skunks. There are a number of places online to find what you are looking for; just remember: not everything on the Internet is true. Your best bet to find reliable information is to look for an educational website versus a personal websites. Someone who lives in the back country and hunts skunks to make clothes for his children might not be the most informed person on the subject. A wildlife removal company, state department of environmental control, or college website will probably be safer bets. The nice thing about a wildlife control website is there are often phone numbers so you can speak with a real person. Sometimes the information on a website doesn't cover everything you need it to. Killing wild animals - Endangered animals are suffering enough from things like deforestation, predation, weather issues, etc. It's unnecessary to go out of your way to kill an innocent animal that is already trying to survive. Deer and other common game I can understand; there are vast populations of them. But rhinos? Elephants? Lions? Tigers? It's not right. They are struggling already. No need to kill off more. Because eventually, they can go extinct. And as you probably learned as a kid, you take one thing out of an ecosystem everything gets messed up. Because then the tiger's prey starts to overpopulate, causing their prey to then become endangered from so many predators. So to sum up, think about what you are about to do. This really needs to stop. Buy farmed fish instead of wild. Buy meat instead of killing endangered bear, fish, and deer. This should not have to happen. We have the WWF and NWF connection to help us! I can understand back in the primal world, but not in this modern world! Endangered animals should stop being killed by humans. If they become destroyed, then there's no way of getting them back. Each endangered species is unique in its own way. No other animal can have that exceptionality. Instead of murder them, we should help endangered animals to grow strong and be taken off the scarce Species List. e. People need to see these wonderful creatures. Some people might not care but other people do! I want every cohort to see animals. If this keeps on, the entire food chain can collapse. Animals are kept in awful conditions and treated dreadfully just so the meat eaters can eat them. The animals go through a painful short life which isn't fair. All animals have outlook, and most of them are quite intelligent, but we humans portray them as dumb, worthless, things. Pigs are more intelligent as dogs, and cows get excited and jumps around when they stature out a dilemma. Chickens are probably the most abused animals in the whole world, even though they are intellectual, and they even worry about the future. It's disgusting that all animals are precious, yet they know no freedom, and some never even see the sunlight. I saw a cow getting killed for meat, it's head was hanging off, but it was still alive and in soreness. If you need Southaven raccoon removal, rat trapping, squirrel removal, or have any questions about a wildlife problem in Southaven, please give Animal Pros a call at 662-388-5112, and we will listen to your problem, give you a price quote, and schedule an appointment, usually same day or next day, to solve the problem.